I started this series of posts last week with the 25,000 year-old Venus of Willendorf and from there I'm jumping straight to 1967. What happened in the middle? There are cultural historians of fat and weight loss who can fill in some of the gaps, Elena Levy-Navarro, or Hillel Schwartz, for example. But the genealogies of fat activism that I am interested in kick-in towards the end of the 1960s. 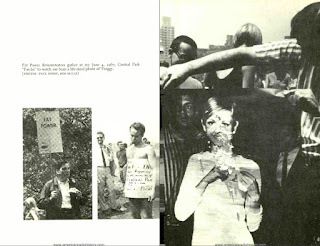 In my book, Fat Activism: A Radical Social Movement, I plot the beginnings of fat feminism in an event produced by the WBAI radio host Steve Post on 4 June 1967 (some sources say it was on 3 June) at Sheep Meadow, Central Park, New York City. Around 500 people turned up for the spectacle, which I describe in depth in my book. One of the sources I used for this section was Steve Post's own autobiography, published in 1974 and long out of print. I found a digitised copy floating around online at AmericanRadioHistory.com around the time that Post died in 2014. I can't tell you how excited I was to find this document. Although there were newspaper reports about the Fat-In, up until reading Post's own account I had never seen pictures of it. But here not only was there an explanation and description of the Fat-In by its creator, but a few pictures. I'd often wondered if I'd imagined this event because it's such an oddball moment in time, and weirdly influential, but here was proof that it really happened. Maybe there are other photographs out there too. On 20 March 2015, a memorial service was held for Post at Symphony Space in New York. On the stage was his Fat-In placard. He hadn't continued to have a public life as a fat activist, but I guess he kept a placard from the day, it must have been important to him but I wonder if he ever knew just what it had helped spark. By the way, I can easily draw a line from The Fat-In through the beginnings of NAAFA, The Fat Underground and beyond to things happening today. But thinking of the Fat-In as the beginning also obscures fat feminist roots in the civil rights movement. This may be one of the ways in which people of colour could have been hidden in fat activist histories. There doesn't have to be one starting point, there can be many concurrent roots. Perhaps there was an equally important event, or series of moments, that inspired fat feminists who came out of civil rights. If you know about this, if there is any evidence, please share what you have. Levy-Navarro, E. (2010) Historicizing Fat in Anglo-American Culture, Columbus, OH: The Ohio State University Press. Post, S. (1974) Playing in the FM Band: A Personal Account of Free Radio, New York: The Viking Press. Schwartz, H. (1986) Never Satisfied: A Cultural History of Diets, Fantasies and Fat, New York: The Free Press. I was interviewed by Steve Post sometime in the 1970's sometime, I think for research in some project or article he was working on. I asked him about the Fat-In, and he said that it hadn't been serious activism, that it was just for the publicity or something like that, but I told him that it had been inspiring anyway--to me (as NAAFA's founder) and to author Lew Louderback, who wrote Fat Power, and was a NAAFA co- founder as well. I was disappointed that Steve seemed to have no energy where fat activism was concerned. Thanks for this. Yes, the 'not real activism' part really sticks with me. Who decides what is real and what isn't? Even far out events like this can have profound effects, which is why I argue vociferously for queer aft activism. 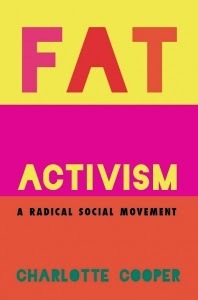 The Fat-In remains an influence on my activism to this day. Totally agree. 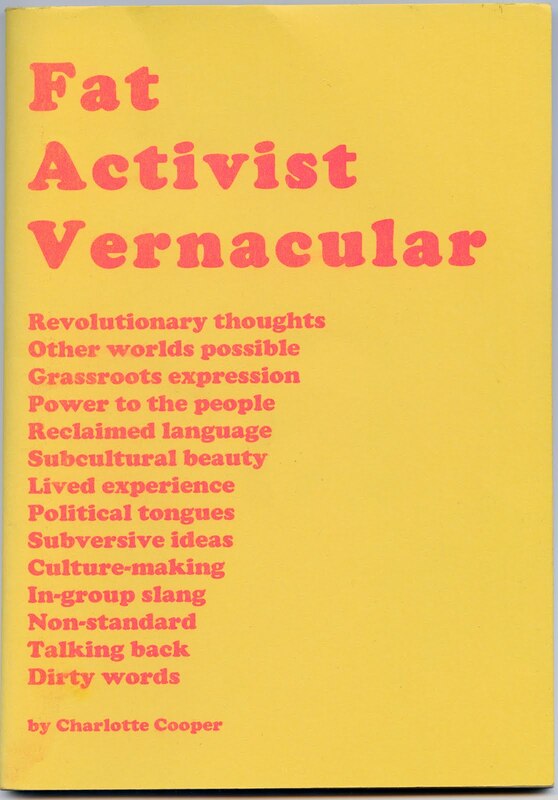 Even things that don't announce themselves as "Activism" with a capital "A" can still create ripples and help bring about change, sometimes in ways that don't seem dramatic at the time, but may emerge years later. Here we are, discussing something that occurred 5 decades ago, yet it has importance, even to people we may never have heard of. Yes. You just can't tell what effect something is going to have in the long term. Or not.